If you have a love of singing and want to make a joyful noise with fellow choral music lovers, please join the members of the Lake Region Community Chorus (LRCC) for the Winter Session. This exciting singing group is made up of about 55 members from fourteen surrounding towns in the Lake Region. It is a fairly young choral organization and they are looking forward to starting their twelfth session of rehearsing and performing. The first rehearsal will be on Monday, September 10 in the Twitchell Chapel at Bridgton Academy in North Bridgton. The LRCC conducting team is made up of Jan Jukkola, Susan Stockwell and Dan Allen. Carolyn Stanhope and Sara-Sue Schreiber will accompany the chorus. The chorus encompasses and welcomes altos, tenors and basses but are in special need of sopranos to balance out their sound. Auditions are not required and the programs are made up of a variety of pieces from many musical genres and styles. There is something for everyone and they make it their goal to make sure that singers and audiences have a very enjoyable time at performances. Rehearsals are from 6:30 p.m. to 8:30 p.m. on Monday evenings. Registration begins at 6 p.m. on Monday, September 10 and there is a $25 registration fee that helps cover the cost of the music. They will also register members on September 17 and there is a two week trial period, if needed. The concerts are scheduled for Friday, December 7, 2018 at 7 p.m. and Sunday, December 9 at 3 p.m. Contact Jan Jukkola for more information at musicsix@cox.net or 647-2584. LRCC is a 501(c)(3) non-profit organization. The Maine State Society for the Protection of Animals (MSSPA), New England’s premier equine rescue and rehabilitation center, today announced its receipt of a $200,000 grant from the Doree Taylor Charitable Foundation, Bank of America, N.A., Trustee to support its general operations and its facility expansion project. Ms. Taylor, born and raised in Colorado, lived in Brunswick, Maine and died in 2009 at age 97. Meris J. Bickford, CEO of the MSSPA gratefully acknowledged that Doree Taylor's remarkable philanthropy helps make the Society's work possible. The grant funds given to the Society will help pay for the care of abused horses at the MSSPA's South Windham farm facilities. Although some horses receive sanctuary services, many are available for adoption following their recovery from abuse or neglect. Grant funds given will also help the MSSPA move forward with its $1.8 million facility improvement, titled “Help, Hope, Home.” The project consolidates an indoor training arena and humane education center with administrative offices, serving the horses and the people who care about them. The Society welcomes public visitors each day between 1:00 p.m. - 4:00 p.m. The Society is unlike any other animal welfare facility in New England. Originally formed in 1872 to protect the horses who pulled Portland's streetcars, the Society now provides around the clock on-site staffing, has access to veterinary services twenty-four hours a day, and maintains dozens of horses on its farm facilities. 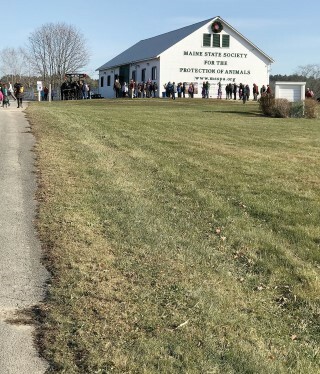 Animals who have been seized by Maine's law enforcement officials and placed by court order with the Society receive re-training and are ultimately offered for adoption. Those not suitable for adoption receive sanctuary services. Before I was a parent, I thought getting children to eat healthy would be simple. If you only offer healthy choices, they only eat healthy things, right? While that’s a lovely theory, I quickly learned that it doesn’t always work that way. The first few years were great. I fed my oldest son whatever we were eating for meals, and he happily accepted fruits and vegetables, hummus and yogurt as snacks. And then something shifted. He began to reject foods he’d previously gobbled down. I can’t claim that our meals were always super healthy either – we had our fair share of burgers, pizza and chicken nuggets, particularly when we were too busy or too tired to cook. I thought the healthy snacks and healthy meals we ate the rest of the time would balance things out. And it did, until his vegetable consumption narrowed to carrots only, and the only meats he’d eat were bacon, pork, and ground beef. He even rejected chicken, unless it was breaded and fried. He wouldn’t eat cheese, unless melted on a burger or a slice of pizza. Eggs are a no. He’s now 14, and it’s even more difficult to get him to eat healthy options. And soon, I won’t have any control over what he eats at all, since he’s headed off to Maine School of Science and Mathematics more than five hours away. I can only hope that he won’t try and exist on cereal alone, like he did when he went to summer camp. If you find yourself facing the same challenges, especially as school lurks right around the corner and you need to provide healthy lunch options that travel well, I feel your pain. Even if you aren’t dealing with a picky eater, time constraints can make eating healthy a challenge. And if you are, you have to get even more creative – sometimes, presentation makes all the difference! Here are some healthy ideas to try. Even my “discerning” child enjoys most of these! In my house, smoothies aren’t just for breakfast. Any time my son rejects what I’ve made, I point him to the blender. With some frozen fruit (I buy a blend with some greens mixed in for an extra boost), a scoop of protein powder, water or juice, and a little ice he has a hearty option that fills him up and provides plenty of great nutrients to keep him going. Fruit and cheese kabobs, meat and vegetable kabobs, the possibilities are endless. And eating off a stick is just novel enough to get them to try things they might not otherwise eat. Plain, unsweetened yogurt layered with fruit looks a lot like a treat – especially if you squirt a dab of whipped cream on top. Instead of spending a lot of money on the premade packs, try making your own. Put a little cheese, some chunks of leftover meat, cut fruit and veggies, and whole grain crackers in a divided container. The bonus here is that you can include exactly what you know your child enjoys – without all the additives and extra sugar. 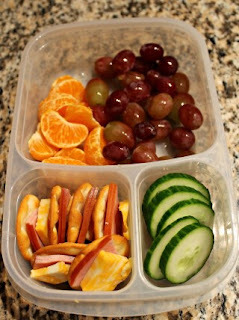 This is another great snack idea that can be prepared to match your child’s preferences. My younger son loves a traditional mix – raisins, peanuts, sunflower seeds and a little chocolate. But you can add dried fruit or other nuts and seeds to switch it up and avoid boredom with the same old snack. Hearty dips – like hummus or guacamole. Kids, in my experience, love to dip things. But ranch dressing isn’t going to give them a nutrient boost. Instead, try new combinations like carrots and hummus, or guacamole and plantain chips (my new favorite). 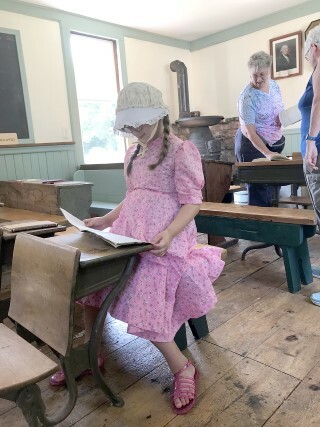 Visitors to the Windham Historical Society’s Grand Opening of the Village School on Saturday, August 25th, got a glimpse of the past – and a look at the future, with a preview of the program that will be available to area elementary schools in 2019. Abigail Wheeler reads from the "McGuffey Reader"
After extensive research, the society transformed a former gun shop into an authentic replica of a one-room school house. Materials were salvaged from old schools in the area, and the schoolhouse is arranged precisely as it would have been in the late 1800s. Replicas of the “McGuffey Readers” that were used for teaching lessons sit alongside slates for “ciphering” (solving arithmetic problems) on desks much like those that would have been found in a classroom in that time. Benches are arranged along the walls, where students might have a “spelldown.” There’s even a chair with a dunce cap in the corner, and a dot on the wall, which students would be required to place their noses against and stand for punishment. The goal of the society is to bring a living history experience to students in Windham and other schools in the region. “We’re interested in not passive history, but participatory history,” said member Walter Lunt at the grand opening presentation. Teachers throughout the Lakes Region will be invited to bring their students to experience a day in the life of a student in 1898. “We don’t want to be a frill in the curriculum,” Lunt, who taught for 30 years, said. “If you’re studying history, we want to become part of your unit. We want to blend. We’ll even adapt what we do to a degree, to meet your goals and objectives.” Teachers will also be given a packet in advance to prepare students for the experience. Society members will play the schoolmarm or schoolmaster, and students will spend two-hours learning about current events in 1898 and being taught lessons of that time. Participants will be dressed as those in 1898 would have dressed, and students will be given names of actual scholars in Windham schools during that time period. By just after noon on Saturday, the grand opening event had seen 40 to 50 visitors pass through, and members had given three presentations, complete with skits that demonstrated what visiting students will experience. Abigail Wheeler, 8 1/2, from Hollis attended the event with her family. Her mother, Amanda Wheeler, said they home school, and this event tied into what they have been learning about. They attended the event because, “We wanted to have history kind of come alive,” she said. According to Lunt, the society will do two practice runs of the program this fall, with third grade classes from Windham Primary School. 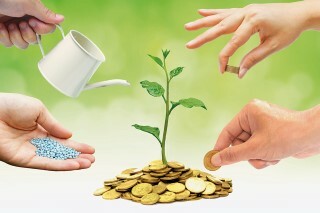 In the spring, the program will be offered to all schools in the region. The schoolhouse is the first building to open in the society’s Village Green living history center. For more information, or to donate, contact the Windham Historical Society at 20-892-1433, info@windhamhistorical.org, or visit their website at www.windhamhistorical.org. I caught up with the very busy actor/director Randy Hunt, co-organizer of “The Red Eye: a 24-Hour New Play Festival” (coming to Schoolhouse Arts Center in Standish this fall) to get the scoop on this new event. Where are you from? What brought you to the southern Maine theater scene? 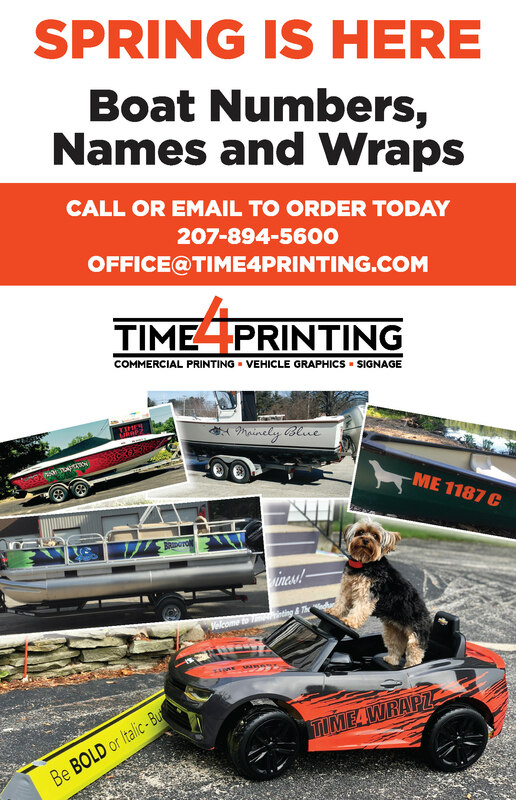 I’m originally from the Bangor, Maine area; I moved to the Portland area in 2016 when my employer of 20 years relocated me to their South Portland Corporate office. While I was initially nervous about this move, it ended up being a great opportunity to meet new people, do new things, and to live, work, and play in a new community. I’m thrilled to have found a thriving theatre scene here -- there is no lack of theatre opportunities in the Greater Portland area. In 2011 I auditioned for “One Flew Over the Cuckoo’s Nest” with Ten Bucks Theatre in Bangor and this became the start of a very busy theatre “career” for me. Since then, I’ve acted in 17 fully-staged productions and directed two shows. Where did the 24-hour festival idea come from? I joined Ten Bucks Theatre (TBT) in Bangor in 2012, the year they held their Inaugural 24-hour New Play Festival. It became wildly successful, drawing around 30 to 45 actors, writers and directors each year and it’s been an annual event ever since. I co-organized their 2013-2017 festivals and was also able to participate as a writer, director and actor over the years. I love everything about it: meeting new people, working with old friends, trying something new (acting, directing, writing, tech, etc. ), the camaraderie, the creative process, the awesome feeling you get as a writer when you see your play come to life in less than a day, fun and laughter, food, watching the plays that the other participants are in and knowing that they are all feeling that same adrenaline rush as you, and so much more. It is my favorite event of the year! How did you and the Red Eye end up at Schoolhouse? In April I was cast as the lead (Elwood P. Dowd) in “Harvey” at Schoolhouse -- it was my first time working with them. I met so many wonderful people and I really enjoyed the experience. I was thinking one day that perhaps Schoolhouse would be an ideal location to have a 24-hour play festival of their own, especially since Schoolhouse was originally founded to showcase the works of local playwrights. So...I pitched the idea, and it was wonderfully received. They said “Great, we’ll get it on the calendar for next year.” And I said, “Next year? We have plenty of time to make it happen this year!” Schoolhouse board member Francine Morin volunteered to co-organize the event and she asked if we could call it “The Red Eye” because it fit her publicity concept, and so it was named. Now here I am, helping to organize and run SAC’s inaugural event The Redeye: A 24 New Play Festival happening this October! There is something in the air that makes autumn just right for a festival like this. Since the event came together so quickly, October 19 and 20 was the only possible weekend. We feel confident that we’ll have enough participants and enthusiasm to make this an annual event at Schoolhouse Arts Center! I am so thrilled to be co-organizing this event with Francine. It’s always fun to collaborate on a project with someone who understands the vision of the project and who wants to work towards the same goal. We are also both very organized people, which makes for a streamlined workflow. It takes a team of people to make sure an event like this goes smoothly, so other Schoolhouse folks will be helping out as well, thankfully. Who can participate in the Red Eye? And how does the 24-hour part work? Do you stay up all night? The festival runs from 6 p.m. to 9:30 p.m. on Friday and 10:30 a.m. to 9 p.m. on Saturday. The festival runs approximately 24 hours in total, but it is not an overnight event. The best part about a 24-hour festival is that it gives anyone a chance to try something that they’ve never done, like writing a play, acting, or directing – this event is the perfect place to try something new. It also isn’t just for newcomers -- it’s also a fun opportunity for seasoned theatre veterans, too, giving everyone chance to get together and collaborate as a team and work towards a common goal of creating a ten minute (-ish) play that didn’t exist 24 hours before. It may sound a little intimidating at first but creating a product from start to finish in one day as a team is exhilarating and very satisfying. This event is for anyone 12 to 112! Anyone who is interested can get started by signing up for the event at tinyurl.com/SchoolhouseRedEye2018 and indicating your preference (to be writer, actor, director, etc.). We’ll assign roles the week before the festival. Writers are asked to not write anything ahead of time -- this is very important! 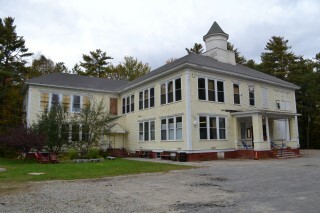 The bizarre incident at North Windham’s old Arlington School ran in The Independent (a local weekly) in 2011 as an amusing, though unfortunate, incident witnessed nearly a century ago by the late Phil Kennard, a long-time Windham resident and storyteller. “…1929 saw us in the fifth grade with the upper classroom’s big boys and girls. That year, they had hired a new teacher ‘From Away,’ a Mr. Perry. He was probably 30 years old, of average height and, while a little on the stocky side had a muscular body and a ‘don’t tread on me’ attitude which tended to fill us with a great deal of respect when we were in his presence. It took a moment for Candy to realize what was taking place, but when he did, he came right back with, “No! Sir! Not me! I never stole no apple out of Ruth’s desk! At that, Perry made a jump and got Candy in a neck hold, but Candy, being a big boy for his age, without so much a lifting his hands from his sides, took a side step and, with a sudden twist and roll, deposited his attacker on his back right smack-dab in the middle of the aforementioned puddle! For a moment, it appeared that Perry was about as surprised as we were, but then he came onto his feet like a roaring bull and this time Candy gave no resistance, probably because he knew that to be involved in a knock-down, drag-out fight with a teacher would get him expelled. At this, Perry relinquished his hold on Candy’s hair and got slowly to his feet, probably realizing that his actions had placed him in a less-than-admirable position. Even so, he showed no signs of remorse as he turned and walked back toward the schoolhouse door. Later, Ruth told Candy how sorry she was for her error, but Perry acted as though it never had happened. At any rate, the following year, he was replaced by a lady teacher. I don’t know if the school board let him go or he decided to go of his own volition. Whichever it was, it didn’t hurt my feelings any! 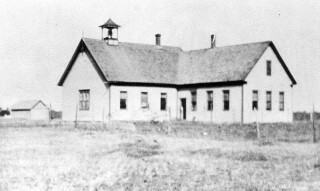 As stated in last week’s Historical Record, early schoolhouse education was dominated by disciplined learning and occasional chaos. Phil Kennard was obviously a testament to both. I recently attended a meeting, locally, where a group of people were advocating for more BioBased Manufacturing in Maine. I’ve been on this bandwagon for a while now, so anything I can do to help nudge the state in that direction, I am likely to do. It seems a shame to me that we have this incredible forest resource, but we have struggled to innovate our way to creating new uses for it. Take heat for example. Heat is a big deal in Maine for a good 6 months of the year. We have enough energy in our forests to heat every building in the state many times over, yet we are still dependent on fossil-based heating oil, much of which has been imported from halfway around the world. Wood can be harnessed for heat in multiple ways. It can be used in its raw form as firewood (and modern wood stoves are a far cry from their smoky and inefficient ancestors) or it can be converted to pellets or bricks, to be used in automated heating systems, or even liquid fuel that will burn in your existing boiler. I, for one, would like to see us find a way to break the grip that “outside oil” has on us and turn it around so that we are the ones utilizing and exporting “Maine-Made BioHeat” and bringing that wealth into the state rather than it leaving. There’s also transportation fuel. Wood can be converted into a number of different transportation fuels. Fuels that will burn in the cars and trucks we drive today. This will definitely happen eventually, once the price of fossil fuel goes through the roof, but why wait? Why not start down that road now, while we still have reserves of fossil fuel that can be saved for critical uses. And then there’s plastic. Yes, wood can be turned into a biodegradable replacement for plastic. Is it ideal in every situation? Probably not. Can it be manufactured as cheaply as our current non-biodegradable plastics? No it can’t, but it could help save the environment. There are hundreds of other products that can be made from wood, and Maine is positioned to be a leader in the manufacture of these alternative products, …if we can only figure out ways to make it happen. The 2018-2019 Common Application is now available to help you with every aspect of the college application process. Get started now by creating your Common App account. The personal profile information you will enter in your account includes your email address. It will become your user name and the Common App’s primary method of sending you updates and reminders so you don’t miss a college application deadline. The Common App allows prospective college students to choose from over 800 colleges and universities in order to find institutions that meet their personal and academic needs based on type, location, size, programs of study, etc. Click on the “College Search” tab to find colleges that are right for you. Just add to your “My College List” as you find each college of interest. An important step in preparing to apply to colleges is to understand the application process for each school of interest. The 2018-2019 Requirement Grid of the Common App lists the college types, deadlines, fees and requirements for first-year college applicants. The Requirement Tracker Worksheet, which can be downloaded, helps you keep track of the various application requirements for each college to which you may apply. To learn which institutions accept the Common Application for transfer students and what their specific www.commonapp.org. Also, be advised that some institutions charge different fees for students from the U.S. and their international applicants. Consult the website for each college of interest for specific information and instructions. The general application information will remain constant for your list of schools using the Common App. This information, once entered, can be used to apply to multiple schools across the world. Start gathering and entering a copy of your high school transcript, a list of your extracurricular activities (both in school and outside of school), test scores and test dates from college entrance exams (ACTs, SATs, SAT Subject Tests), as well as parent/legal guardian information (educational background, occupational information, employer information, etc.). The Application Dictionary included in the Common App helps you understand the lingo used in the college application process. Getting started in the college application process using the Common App isn’t difficult. The “Applications Solutions Center” and the “Virtual Counselor” features will answer any questions you may have. Staying organized is easy when you use the Common App’s new companion app for mobile devices, Common App onTrack, available for iOS and Android devices. The app lets the user view each college application deadline and submission status, add and invite recommenders for college admission, and create personal lists of tasks and reminders. 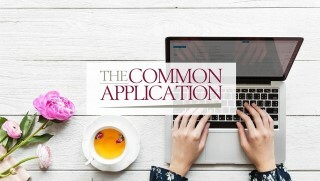 The Common Application’s “Applicant Support Portal” provides timely information on topics that vary from the 2018-2019 Common App’s essay prompts to information concerning the European Union General Data Protection Regulation (GDPR). You can learn more about the GDPR by visiting www.eugdpr.org/ or www.ec.europa.eu. Suzanne Hatfield is a certified school counselor who worked in Maine high schools for twenty years before her retirement. No one wants to use the word “winter” at this point in time. However, as this month will go screaming by us, we will soon find ourselves in the middle of September. Now is the best time to eyeball your garden plants to figure out which ones you may want to bring in. Bringing in a few helps to make the house cheery in fall/winter; not to mention boosting our spirits by having something blooming inside all winter. For any who truly love their gardens, you already know about the boost a blossoming plant can give when you have a few inside during the gray days of winter. Also, for those of us who enjoy the gardening process itself – this allows us to trim, feed and fuss over our plants over the long winter; no bugs, no heat, no sunburns. So, now while you are deadheading and weeding for the last time you may want to pre-plan which plant(s) you’d like to have inside. Maybe you’ve completely enjoyed that coleus this summer. Trim/shape it back now to give it a nice size and let it adjust to the trimming before putting it into a pot to bring in. Be sure to keep it watered well so it won’t be under any stress when you dig it up to re-pot it. Another word about trimming and shaping: Size. Since most houses can only tolerate small to medium size pots, you may want to trim your plant back quite a lot now. This will thicken it up and stop it from becoming too leggy and droopy looking. You can do this a time or two during the winter as well – to keep it looking smart and to stimulate more growth and blossoms. Be sure to water it well and often once brought inside, as our heated houses tend to dry plants quickly. Also you’ll want to feed the plants at least two or three times during the fall/winter to get all the blooms you can. The following is the method that has worked well for me when bringing plants inside: Be sure to transplant your choices into their pots in September and no later. Then leave them outside where you can see them and remember to water them often. By leaving them outside for a few weeks during fall there is little (if any) shock to the plant. I like to keep my new transplants quite moist while they adjust to being back in a pot. Bring them inside while the weather is still warm enough to have house windows open, as they are still getting the outside air. This also keeps them from suffering any shock from being brought in and it makes for a nice, easy transition from outside to inside for them. I am listing a few here that have typically done very well for me when approaching the transplanting this way. I won’t say that I have 100 percent success 100 percent of the time. However, about 90-95 percent of the time I get to enjoy my plants all winter and sometimes I have even re-planted a few back outside in the spring. My very favorite to bring in are snapdragons, I have a high success rate with them. Also, the coleus plants do well; they will need trimming in winter to keep a nice shape. Put the trimmings in water to root out for more! I have even done lavender plants (trim them back fairly hard now and they will do well in a sunny window all winter). Other good choices are the shorter zinnias, petunias (with the smaller sized blossoms), and most any of the herbs. And of course the geraniums do very well. I usually bring in all of the geraniums, put them in a nice sunny window and enjoy. 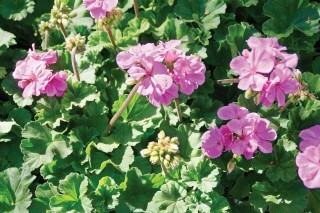 Geraniums do like to have their yellow leaves snipped off and keep them deadheaded to get maximum flower blossoms. By February cut them back a bit, don’t feed them and let them rest until mid-March, then feed them and they’re ready to go again. C.E. 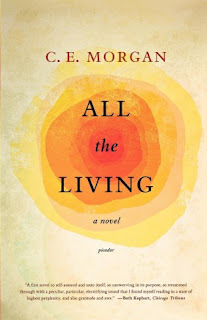 Morgan’s debut novel is fiercely beautiful. The language is clear, precise and evocative of the landscape within the novel. The story itself is a love story, in a way. The novel opens when Aloma returns with Orren to his family’s farm after an accident kills his brother and mother. Orren needs to prove—to the town and to himself—that he can handle what he has never been taught to manage. Aloma, orphaned as a child, goes with Orren in order to begin anew. Their love is not easy. She is a talented pianist, but he doesn’t understand her need for music. He struggles with the drought, but she doesn’t grasp his desperation. Neither Orren nor Aloma want people in town to know they aren’t married and when that fact is revealed, it brings with it a hefty shame. As the novel unfolds, it seems as though these two might only have passion in common—and they have plenty of that. But, as their communication breaks down and as they grow more tired, confused and lonely, we wonder if their young love will survive. This book is not in any way a typical romance novel (if there even is such a thing). Orren and Aloma are young and in love but their emotions are far from straight-forward. Their struggles feel authentically complicated, their lives richly textured. “All the Living” is sweet, honest, tender, and heartbreaking. It’s a rare gem of a book. Be The Influence Players, a new theater group composed of sixth, seventh and eighth grade students from RSU14 presented a play at Windham High School on Friday, August 10. This play, which was composed of three acts about the importance of kindness, may become part of the Be the Influence’s mission to educate local students and reduce youth substance use. Briefly, Be The Influence Coalition (BTI) is a community collaboration program that provides support and resources in Windham and Raymond. Its goal is to communicate consistent drug-free messages to assure that local youth make positive choices and are aware that decisions matter. The organization works to reduce substance use in teens and pre-teens, providing this message since 2014. The concept of BTI Players is modeled after a peer-to-peer program that originated in Missouri where it is presented to over 100 schools annually. Having seen the success of peer to peer theatrical education in the Midwest, Laura Morris, Director of Be The Influence Coalition, used the concept to educate students in RSU14. According to Morris, who orchestrates the theater group, studies show students learn better from older peers than adults. BTI’s peer to peer theater group is one way to communicate BTI’s message in a fun and approachable way. The Be The Influence Coalition decided to offer a camp this summer through the Parks and Recreation program to introduce the theater concept to area students. Last Friday’s play proved to be a success. 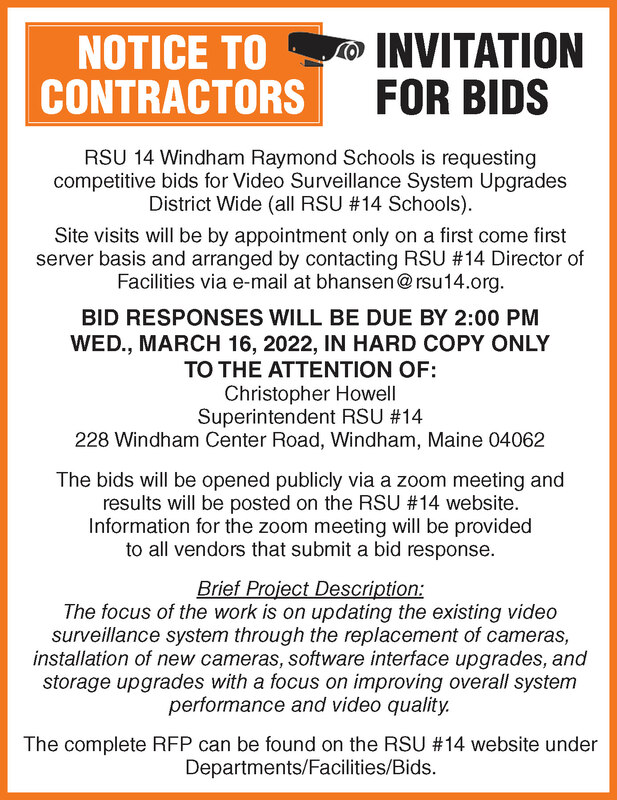 The BTI Players will continue performances throughout the school year and will be using two scripts to present at Windham and Raymond Elementary schools this Fall. The lessons they are trying to convey with these performances are important ones. “Respect one another,” says actor William Yates and, “Don’t bully people,” stated actress Natalie Adams – both speaking about what they learned during their participation and the lessons the play portrayed. Each actor and actress added energy and pizzazz to the performance; through eye catching props, singing, dancing and audience participation. One of childhood’s rites of passage is learning how to pedal a bicycle without training wheels. As last weekend’s experiences proved to this writer, kids are the not the only ones who need to adjust to this new reality. My seven-year-old assistant took her first short ride without the training wheels last month, in the parking lot of Raymond Elementary. Letting go of her bicycle seat as she pedaled across the pavement was one of the more poignant parenting moments I’ve experienced. Not to be outdone, my four-year-old assistant also insisted he could pedal without training wheels. After another round of two-wheel practice, this time in the gravel parking lot of Raymond’s Mill Street Ball Field and Playground, my husband and I decided to take the kids for a bike ride and a swim at the Gambo Dam in Windham. Theoretically, this is the perfect place for a first bike ride. The Gambo Dam area along the Presumpscot River overlaps with the Mountain Division Rail Trail, a beautiful, paved path running along old railroad lines, and Gorham’s Shaw Park. If you make a few left turns, you can easily combine these overlapping trails to create a short loop with Shaw Park in the middle. Last summer, when our daughter was still using training wheels and our son was riding a toddler balance bike, my husband and I took the kids for a bike ride along this trail. Our children loved the gentle inclines and the smooth, paved path, which was perfect for a bike with training wheels and a bright pink “motorcycle.” My son’s pink balance bike, a hand-me-down from his big sister, didn’t have pedals. And, as he pointed out quite often, motorcycles also don’t have pedals; hence, he had a motorcycle. Hoping to replicate our past success, we loaded the two training-wheel-free big kid bikes into our car last weekend and set out for the Presumpscot. 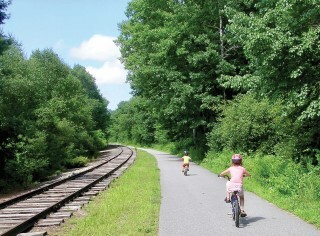 Both children loved pedaling the initial section of the Mountain Division Rail Trail, which follows a set of old railroad ties in a wide, flat path. However, the first of two bridges posed a challenge. 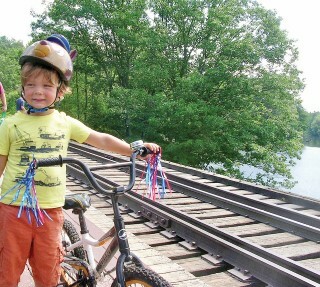 Even though we walked our bikes over the first bridge, a high railroad trestle, the steep drop beside the subsequent stretch of the trail made one of our two new bikers balk. She decided to walk her bike - the entire way. The Mountain Division Trail continues from the Presumpscot all the way to Sebago Lake, but we turned left after the railroad trestle and continued to Shaw Park. Attempts to convince my assistant that riding a bike is actually much easier, and more fun, than walking a bike were met with much resistance. Apparently, there’s a big difference between feeling comfortable riding a bike around a parking lot and feeling comfortable riding a bike along a windy, curving trail. Fortunately, by this point our family was almost to Shaw Park. It was a warm, muggy day, so the entire family left the bikes by the swings and went for a quick dip (Dad had graciously volunteered to carry towels and swim suits). Swimming in the Presumpscot improved everyone’s morale, and we were able to watch adventurous canoeists climb to the top of the railroad trestle bridge and jump into the water below. “Can I do that, Mom?” my four-year-old assistant asked. After our swim at Shaw Park, the family resumed our bike ride/push. The trail loops gently through the woods past Shaw Park and circles around what looks like an old gravel pit. The path here is broad and flat, and it was finally gentle enough for our seven-year-old to decide she was willing to give two-wheeled bike riding another try. For just a few moments, our children zoomed ahead of us on their bikes, and the hike was exactly what I’d expected. This loop trail ends at Gambo Dam, where there is a lovely pedestrian bridge across the Presumpscot. Below the dam, you can find a fascinating interpretive trail along the historic site of Maine’s Oriental Powder Mill, which made gunpowder used in the Civil War. You can also explore the ruins of the Cumberland & Oxford Canal if you’re looking for another fun, short hike with (or without) children. If you’d like to explore the Gambo Dam area yourself, with or without bikes and children, you can find the parking area by turning onto Newhall Road from Route 202. Newhall Road becomes Gambo Road, and it ends at the Gambo Dam. To follow our loop, park just before the dam in the Mountain Division Trail parking lot. There’s no question about it - Maine’s child protection system is badly broken but instead of placing blame, we must focus on fixing it immediately. The health, well-being and lives of Maine children are at stake. Since the news first broke about the tragic deaths of Kendall Chick and Marissa Kennedy, the Legislature’s independent watchdog agency, the Department of Health and Human Services and Maine's Child Death & Serious Injury Review Panel have launched investigations into what happened and what we can do to make sure it never happens again. While I cannot speak for the other two investigations, what we found in the Legislature’s investigation is deeply concerning. According to the Office of Program Evaluation and Government Accountability, Maine’s child protection system failed on several occasions and suffers from inadequate staffing, a flawed intake system and multiple opportunities for cases to fall through the cracks. This is unacceptable. I worry that we will learn of more cases that have fallen through the cracks and be too late to remove a child from a dangerous situation. Last month, DHHS Commissioner Ricker Hamilton appeared before the Legislature’s Government Oversight Committee, (known as the government Watch Dog committee) of which I serve, to provide information and answer our questions. I am encouraged that he has committed to adding 75 intake workers and am interested in additional proposals from the Department and the governor to repair the system. However, since Commissioner Hamilton made this commitment to add more caseworkers, the governor is now saying that he won’t include adding these badly needed workers in his emergency bill in the next few weeks. He wants to wait and let the next governor deal with that issue. Hopefully we reach a compromise and provide some help now …before it’s too late. I also worry about the lack of transparency and information coming from the Department. The reality is, if we are going to make the necessary changes to the system charged with keeping our kids safe, lawmakers need to make sure we have all the facts. A report from the Portland Press Herald revealed that there has been a 31 percent increase in child abuse and neglect cases in the past eight years, with more than 1,000 cases handled by the Department in 2016. Even more concerning, the number of physical abuse cases doubled over that same time. What these numbers show is that the proposed staffing increases to the Department are long overdue. They also reveal that the state needs to do more to invest in child abuse prevention programs that have a proven track record of success. It has also been very helpful and enlightening to hear from many of you, right here in our district, about your experiences with the Department and recommendations on what we must do to transform the system so it works effectively to protect Maine kids. A huge concern of mine has stemmed from what I have heard about the mandated reporting system. I worry that those trying to do what’s best for Maine kids and report a worrisome situation are not getting the proper confirmation that their report has been received. It’s very clear that we have a problem in this state that is only getting worse. We need a child welfare system that is going to rise to the increased challenges and best meet the needs of our kids. I also want to be confident that we are exploring every possible option to keep Maine kids safe so they can grow up to become healthy, productive adults. The Legislature’s Government Oversight Committee is expected to meet this week to get an update into the investigation. I am also hopeful that we will get a proposal from the governor to strengthen the child welfare system. Republican, Democrat or Independent - we must all work together for the good of Maine children. Again, I’m asking for your help in sharing any information you may have that could be helpful to me as we seek the truth and solutions. I urge anyone with information related to Maine’s child protective system to contact me at diamondhollyd@aol.com or (207) 287-1515. Feel free to remain anonymous if you prefer. If we are going to keep our kids safe, it’s going to take all of us working together to share information and to build a stronger, more effective child protection system. Whether one is experiencing writer’s block, looking for ways to hone in on their prose or recently considering putting pen to paper, the Prompt! workshop might be the perfect option to get the imagination into overdrive. "Thanks! This really gave my writing the jumpstart it needed!" "I'm not even a writer, but this workshop really sparked my creativity!" "I only came to support my friend, but I had such a good time!" "I was so surprised by what we were all writing!" Altman has a long history in both writing and fine art – specifically in film. A graduate of Connecticut College and Harvard University, Altman is an independent film historian whose father was Al Altman, a well-known MGM talent scout who discovered Joan Crawford, Ava Gardner, Jimmy Stewart and Bob Hope – to name only a few. Her first non-fiction novel, “Hollywood East: Louis B. Mayer and the Origins of the Studio System” tells the story of how the movies evolved. The book expels the popular misconception that the film industry was the innovative evolution of Hollywood, when in fact New York was where the real innovation began and where the stars of the early industry were discovered. Her second book, “In Theda Bara’s Tent” is a work of fiction that delves into the life of a young boy who loses his parents in a factory fire. Yearning for love and prosperity, the boy takes solace at the movies. He befriends the theater’s owner who one day becomes a Hollywood legend. Altman will not be accepting any reimbursement for teaching the workshop and there is a special reason for that. “I live in both New York City and Raymond,” said Altman. “I’ve had a house in Raymond for about twenty years and spend the entire summer here as well as time in the winter and fall. I feel a strong connection to Raymond and that’s why I am contributing my time. Registration for the workshop is not required. A suggested donation for the workshop is $7. Funds from the workshop will go toward the Raymond Arts Alliance, which is hosting the event. For more information about the Raymond Arts Alliance, visit www.raymondvillagelibrary.org/raymond-arts-alliance. "To inspire and cultivate new generations of global leaders in communities divided by conflict and to equip those young leaders with the skills and relationships they need to accelerate social, economic, and political changes essential for peace,” is the mission statement of Seeds of Peace. Seeds of Peace is a leadership development organization that began in 1993 with one youth camp locaton in Otisfield, Maine. Raymond Village Community Church about Seeds of Peace. I am a member of the Raymond Village Community Church and I had asked Seeds of Peace to send a speaker who could tell the Raymond, Casco and Windham communities how Seeds of Peace successfully transforms individual perspectives during camp. The presentation was sponsored by Raymond Village Community Church, Raymond Arts Alliance and Raymond Village Library. During the presentation, I learned that the process of individual transformation begins at Seeds of Peace camp in Otisfield, Maine. After graduating from the camp, participants build on their experiences through over a hundred local/regional leadership development initiatives. What interested me the most was the beginning of the process: Seeds of Peace camp. Interested participants go through a rigorous selection process, and once selected, participants then attend camp in groups or delegations. At camp, which is a new type of experience for most, they are asked to set aside technology and live in close contact with people they don’t know. The key activity is dialogue facilitated by professional facilitators, many of whom are Seeds of Peace graduates. Dialogue requires listening and speaking from the “I” perspective, not just about “what” but also about the “why” and feelings about their own story and what they are hearing. The camp participants are asked to “lean in” when uncomfortable as there is much to be learned. One thought I had was that it seemed like a lot of work to me and could not happen unless participants feel safe and that they can trust each other. Seeds of Peace camp aims to help participants feel welcome by serving food they can eat (e.g. kosher or halal) and offering a variety of religious services. They build trust through dialogue and through group activities. Arellano helped me better understand the camp experience and related his own experiences at camp that continues his own learning. I admire the organization and the people involved. Back in 2015, Naples local George Vooris decided to run in a 5K race in Lewiston, which happened to be put on by the Dempsey Center for a fundraiser called the Dempsey Challenge. It was an effort to get back in shape and see how he ranked among the thousands of other participants, but what he got out of it was so much more. It was after seeing all the other runners and walkers surrounding him, who were battling cancer that he realized it didn't matter what place he came in or what his personal time was. His being there meant more than that. The will and strength of the people in the race made him forget about his aching back and his painful ankles and changed the entire meaning of the event and the whole reason he was participating. It was then he decided to change the course of his thinking and become not only a participant, but an advocate for the event's underlying cause. After learning about its many benefits to the community, Vooris set out to be an independent fundraiser for the Dempsey Center itself and help in any way he could. While asking people to donate money to the foundation and bringing his friends and family to the race in Lewiston was doing something positive, he felt it wasn't enough. He wanted to go bigger. That very same year, Vooris founded the Naples Causeway 5K, a local family-fun walk or run that would go through his own hometown. It would benefit not only the Dempsey Center, but his own local food pantry, the Cumberland County Sheriff’s, and police and fire departments; and it would bring the community of Naples together as a family in a common cause of fighting cancer. He never realized what a positive impact his event would have, bringing in hundreds of participants and local sponsors from all over, who were more than happy to give their participation and support. All of Vooris’ effort and hard work in making his vision a reality has brought out the best in the people of his community and continues to amaze him as it grows each year. 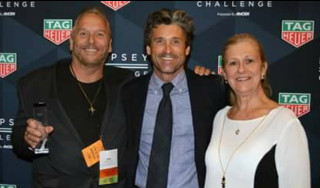 To date, Vooris has raised nearly $50,000 with his 5K race and in 2017, was the top independent fundraiser for the Dempsey Challenge. He was also the recipient of the Naples Volunteer of the Year Award for 2017 and credits these unexpected achievements to his loving community for making it all possible. For Vooris, he is humbled by all of the support and recognition he has received over the years and is still excited to be the director of the Naples Causeway 5K, which is only in its 4th year. He likes seeing the locals sporting their 5K t-shirts around town and enjoys the fame he has garnered, only to use it to further promote his race which is growing bigger every summer. He continues to volunteer at his local food pantry and holds fundraising benefits throughout the year while spreading the message about how important it is to give what you can to those who need the help. On a sad note, Vooris recently lost his little brother Danny to cancer, which only served to strengthen his resolve in making a difference and prevent others from experiencing the loss of a loved one. He wants to remind us all that everyone has been or knows someone affected by cancer, and the best way to help out is to participate and sign up. The 4th Annual Naples Causeway 5K is on August 25th at the Naples Marina on Route 114 and you can find Vooris running the course this year in the honor and memory of his little brother. If you would like to donate to his cause or register to run in the race, you can head to NaplesCauseway5K.com or runsignup.com for more information on how you can help this great cause.